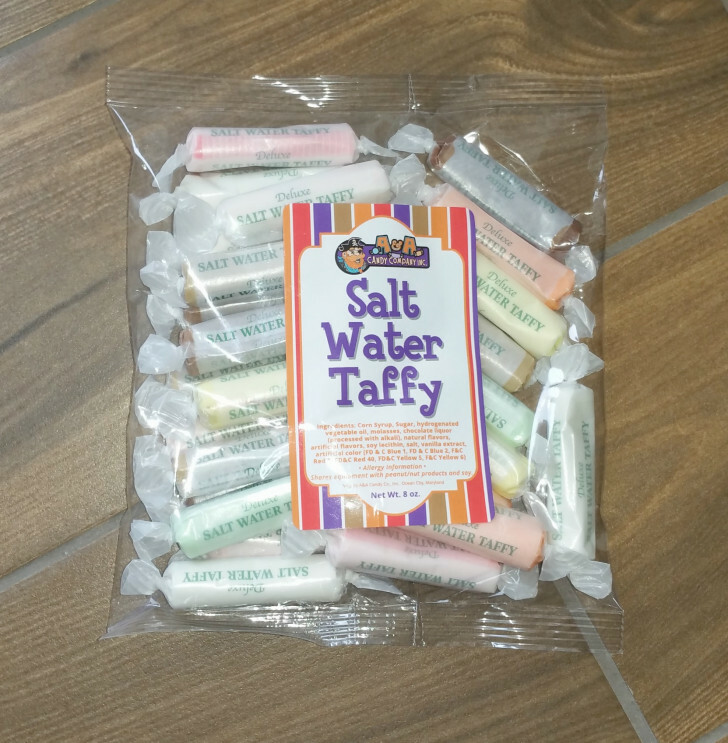 Our gourmet salt water taffy now comes conveniently bagged! 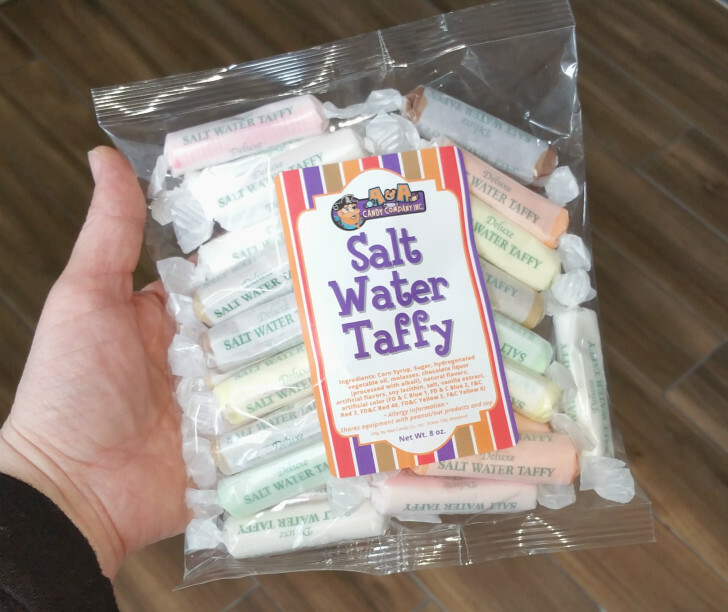 Our 8 ounce bag, complete with A & A Candy Company label is filled with approx 23-25 pieces of a random assortment of flavors of long "stick" salt water taffy . The bags are approximately 7.5" x 6.5" and have a simple tear tab in the corner. Please contact your sales rep if you would like a professional quality customized label in place of the A & A label---we welcome all requests! Bags are packed 40 per case. Wonderful markup with this attractive packaging and delicious candy!